To make a new or existing page sticky, simply navigate to Pages in the Admin Area. When setting up the page, enable on these settings under the ‘Page Location’ heading. 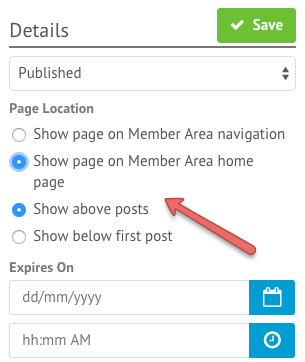 This will force the page to appear above posts on the Member Area home page. Happy posting!